There have been many great games this year; I have enjoyed forging medieval empires in Crusader Kings 2, slow motion shoot dodging in Max Payne 3 or saving the galaxy as Commander Shepherd in Mass Effect 3 but my game/series of 2012 by a long way is The Walking Dead. The Walking Dead is a five part episodic series based on the popular comic book franchise and these episodes have become widely admired, as the season has progressed, for their tremendous storytelling and the emotional punch of the decisions they force you to make. You play as former university professor and recently convicted murderer Lee Everett; who at the beginning of episode one survives a car crash on his way to prison in Georgia during the first few hours of the zombie apocalypse. Soon after this he comes across and befriends a young eight year old child called Clementine who has been surviving alone in her tree house after her babysitter met a nasty end. At this early stage of the first episode you are introduced to the standout feature of this series, the difficult choices the game will make you decide on, when Clementine asks you about her parents and if they are still alive. You have the option of consoling her about what has happened, keeping her spirits up by saying they may be alive or bluntly telling her that they will not be returning. All of this is being said to an eight year old girl as civilisation crumbles around you, no punches are being pulled. The series does a great job of constantly throwing up these tough decisions, normally with only a few seconds to decide which response or decision to take. You must choose between sticking to your morals or being pragmatic and are never given an indication of which are right or wrong, making them simply different decisions each with their own consequence in both the short and long term. However, these decisions do at times only give what I would call the illusion of choice as some events are fated to happen regardless of choice. It didn’t comes across as an issue or that it detracted from the story of Lee, Clementine and the other survivors but it did seem a pity that the storyline did not branch off more based on your decisions. The choices I was forced to make did nevertheless make it my story and it has not disappointed. After some of these decisions I would think about them afterwards, trying to think was it possible to have changed the outcome if I had chosen a different option. The decisions and events were still powerful moments, especially when offered mere seconds to make them, and they are emotionally charged as I had to on several occasions put down the controller and walk away from the game for a while to get my head round it, and after one especially difficult decision, to actually come to terms with what had just happened. Throughout all five episodes you will meet a varied cast of survivors and must deal with the clashes of personality and power struggles between them, especially as the ongoing horror of what is happening in the world around you truly hits home as it changes or even breaks them. The decisions you make plays a crucial role in how those characters perceive you which in turn affects if they will assist or hinder you in later episodes. The only issue I really had was that some of the characters and their back story were sadly undeveloped, especially what exactly had happened with Lee that resulted in his conviction for murder. Outside of the interactions with the other survivors lies the games main relationship, that of Lee and Clementine. She isn’t a feisty child genius or streetwise comedy sidekick; she is just an eight year old girl but one you feel protective of and emotionally attached to as Lee shepherds her through the dangerous journey across Georgia. It’s not just protecting her from zombies or other survivors directly, there is the looking after her by deciding if you will teach her to shoot and defend herself, or how you react when she asks if she has a “say” in the group. This all builds up into how she perceives you and how your relationship develops and the last episode has some very emotional scenes between the two. 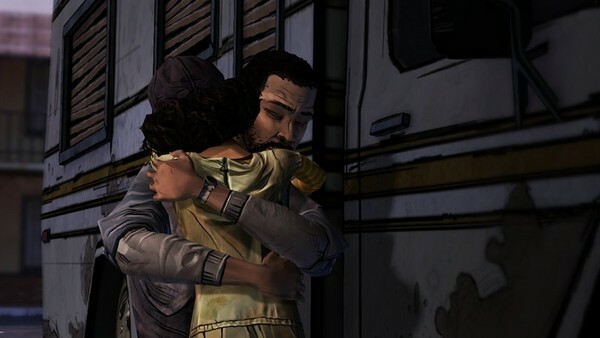 It helps that I found the voice acting of both Lee and Clementine excellent which was also true for all the other characters, it is hugely important in a game such as this for the actors to convey the dialogue meaningfully, which on the whole they succeed at doing. 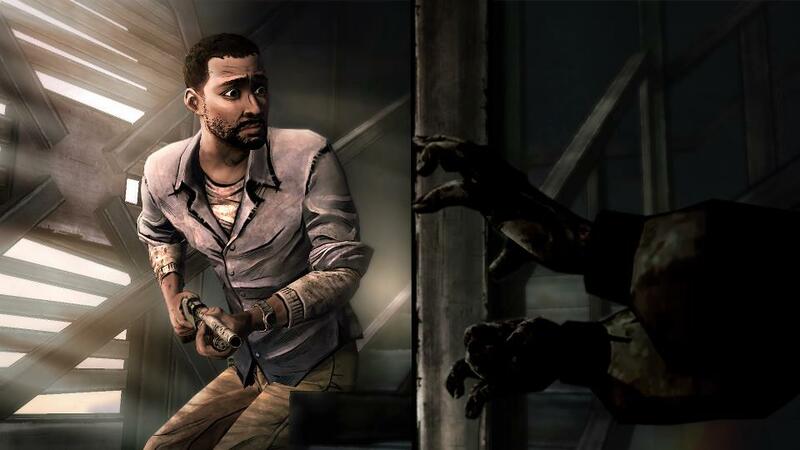 The Walking Dead comics have a very recognisable art style which Telltale games do a good job of recreating. There are some technical issues with the graphics; the game has noticeable issues during some cut scenes with the game straining to merely chug along but this problem diminished as the season progressed. My biggest issue with the game is that outside of the powerful story there is the lack of much meaningful gameplay; don’t expect fiendishly hard puzzles to tax you nor intense action against the hordes of zombies or other survivors you come across. The puzzles seem to be fairly straight forward while the action sequences rely more often than not on Quick Time Events. They are enjoyable enough, can be quite tense and keep the story progressing but it seems a shame they weren’t elaborated on further but that probably wasn’t so easy to do within the episodic model. This leads me onto one of the best successes of The Walking Dead: Season One, the episodic nature of the game means it never out stays its welcome. I would eagerly await the next installment , an easily digestible two to three hours meaning plenty could be packed in without the need for filler and it does a great job of avoiding having the series treading water. The first episode was released seven months ago; I have been talking about it with family, friends and co-workers ever since and much longer than any other game I ever played before. 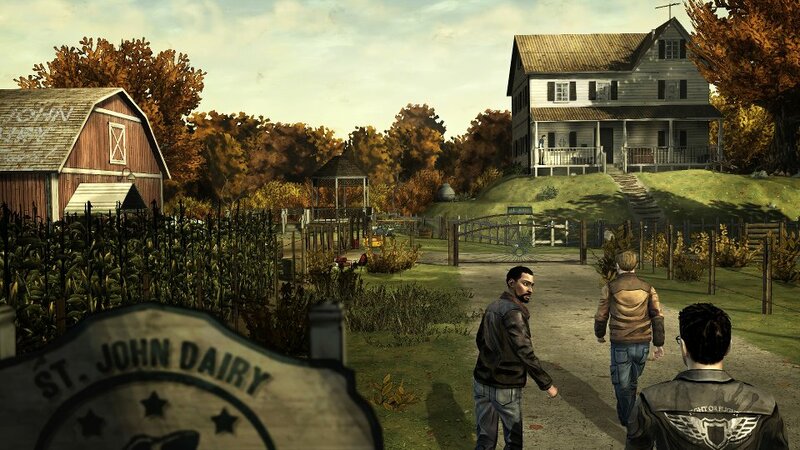 The Walking Dead: Season One is an emotional and at times harrowing experience, the choices it forced me to make still stick out in my mind as some of the most difficult in any game I have ever played. Telltale Games have faithfully created an excellent homage to the Walking Dead comics, doing the licence justice but have also created a series which has raised the bar for video game storylines and is easily my game of 2012.